Increased Limits for Product Recall Coverage! 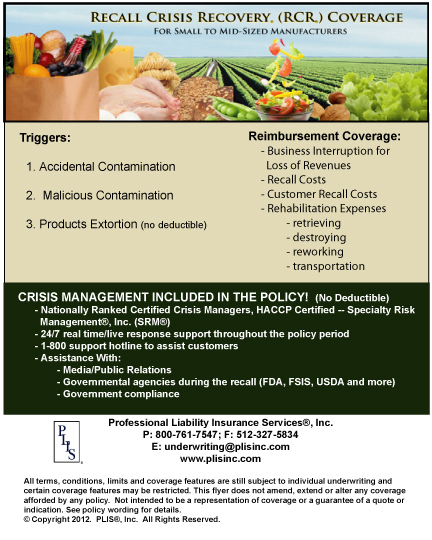 | PLIS Inc.
← Summer… Prime Time for Food Borne Illnesses! – Coverage from PLIS, Inc. Image | This entry was posted in Product Recall and tagged business interruption, food manufacturers, motel insurance, PLIS, product recall. Bookmark the permalink.